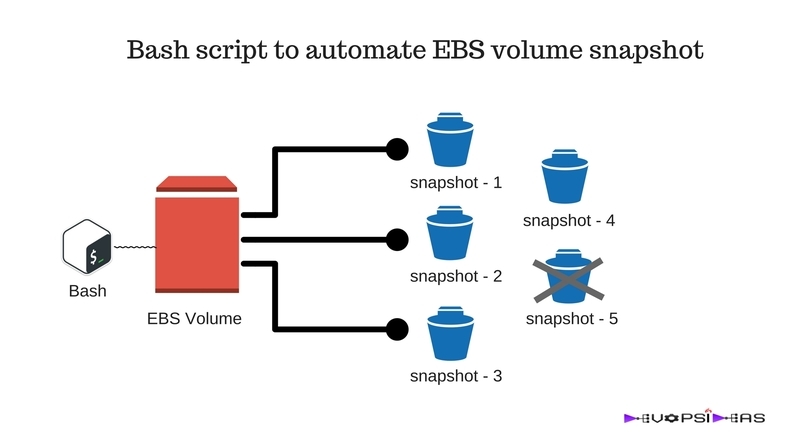 This will be a nugget on how to automate EBS volume snapshot using a bash script. Where Can I run this script from ? You can run this script from your local, a Jump / Bastion server or even from any of the server for which you would like to take EBS snapshot for. We will run the script as part of cron job to make it run at specified interval. So running it from your local machine is not recommended. There are few pre-requisites that you need to complete for the script to work as expected. 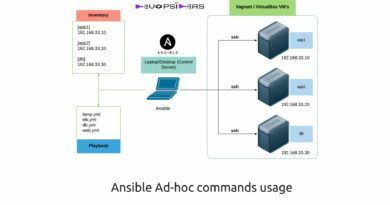 Firstly you need to have the “aws cli” installed in the server from which the script will be run. You should have API keys of an IAM user who has access to Read EC2 information, create and delete EBS snapshots. You can refer this for manually installing aws cli for various distribution. If you are running the script from an EC2 instance, then installing aws cli is simple. You can refer this for creating an IAM user. Attach a policy that contains the below set of rules for the IAM user. The configuration wizard will ask you to enter the Access Key, Secret Key, Default Region and the output format. You can pass in the Access and Secret Key of IAM user which you have created in the previous step. By default the output format is json and you can leave it as default. echo "Usage $1: Define ACTION of backup or delete"
echo "Please enter the age of backups you would like to delete"
echo "Deleting snapshot --&gt; $snapshot"
AGE takes a number and defines the snapshot to be removed in terms of days. For eg, value of 5 will remove snapshots older than 5 days. The volume list is further passed into another nested loop where the snapshot is taken against each volume. ( Refer Step 27 to 30 ). While taking snapshot, it is given the description “ebs-backup-script“ in order to identify that the snapshot was taken by the script (—description “ebs-backup-script”). This script provides the basic functionality of automating the process of EBS volume snapshot and life cycle. 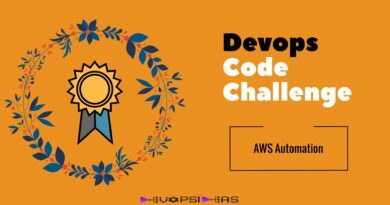 This can further be customized and improved to handle higher needs such as handling snapshots across different regions, logging the output, trigger a mail if the script fails, etc. You can schedule this script to run as part of cron. The script is available in the git repository. You can clone it by running the below command. You can post your questions/suggestions in the comment section.